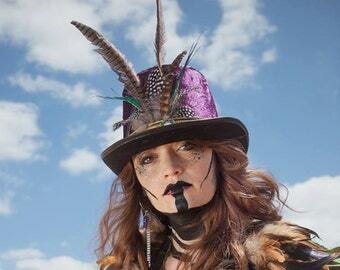 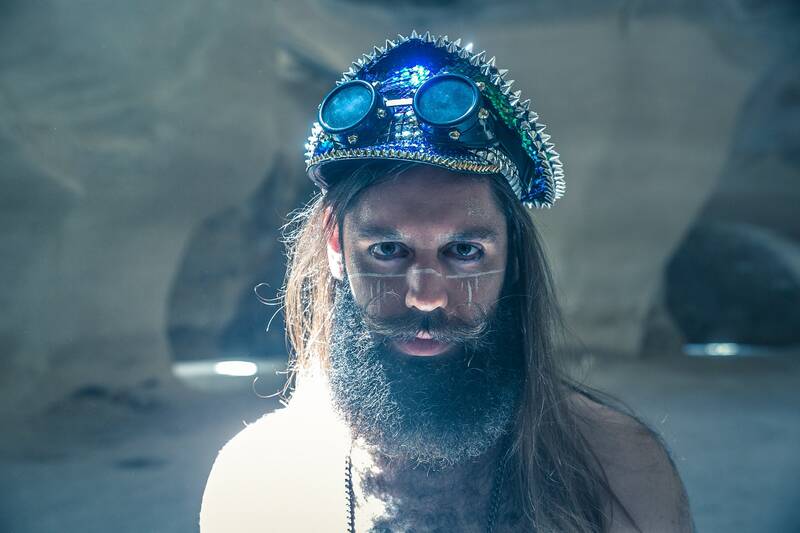 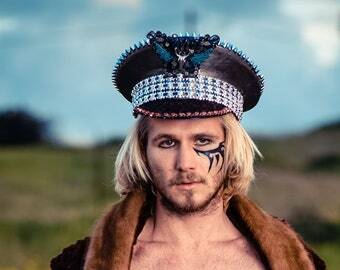 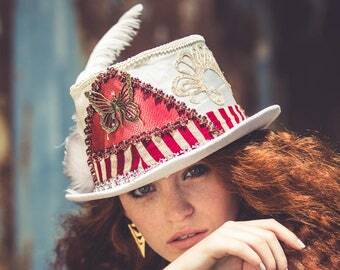 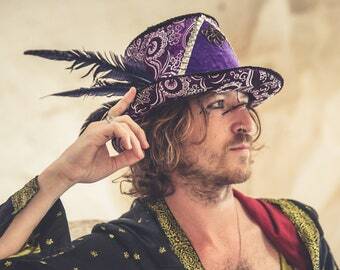 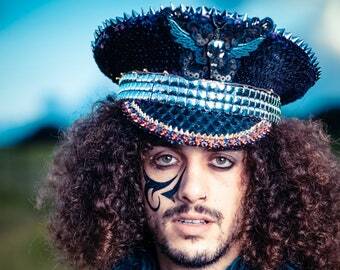 Amazing Burning Man captain hat - perfect for any festival or party. 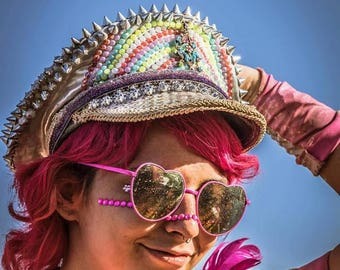 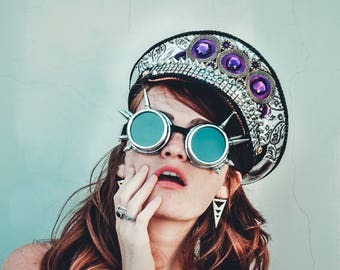 This Festival Officer Hat Comes with Googles and Will make you look great, and pump up every outfit you will choose. 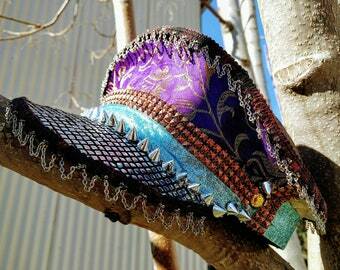 * Returns are not accepted for costume made order.